Ear Reflexology Charts + Reflexology Ear Chart Tips! 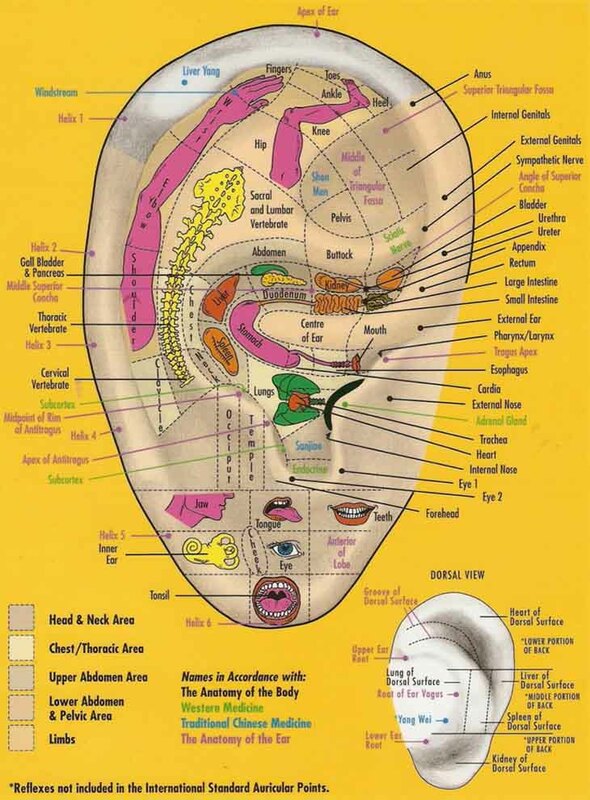 Key elements in a reflexology ear chart! In ear reflexology the purpose of the reflex points on the ears does not vary from foot reflex zone therapy & hand reflex zone therapy. However, the concept behind ear reflex zone therapy is very different. In reflex zone ear charts the fetal position is projected to the ears - while in foot reflex zone therapy charts & hand reflex zone charts the 10 reflex zone body zones are used as a starting point. 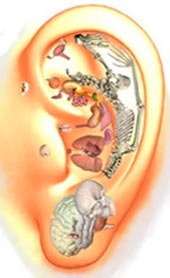 Ear reflexology is based on the widely enervated structure of the ears plus the assumption that the various zones of the ears are connected with the internal organs (this principle is also well-known for the feet and hands). In ear reflexology more than 100 specific reflex zone points on the external ear are related to the internal organs and the musculoskeletal system. What are the Major Differences between reflexology ear maps? 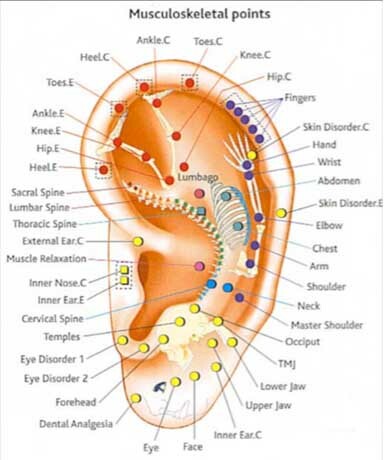 How come that various ear reflexology maps the reflex points on the ears are displayed with different locations for the internal organs & external body parts? It is quite hard to answer this question, because usually it is a bit of a mystery how the experts have developed their reflex zone therapy models. An ear reflexologist usually claims that an ear reflex zone chart presents a system of zones and reflex areas that reflect an image of the body on the ear, with the premise that ear reflex zone therapy effects a physical change to the body. Learn how reflexologists combine auricular reflex points in ear reflexology charts free with aromatherapy, acupressure & acupuncture by a reflexologist. 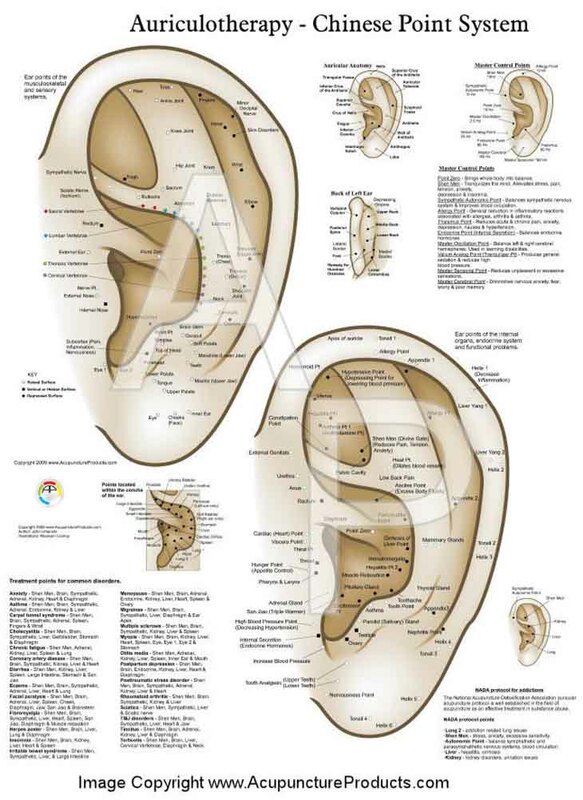 Good Reflexology Ear Chart Tips! 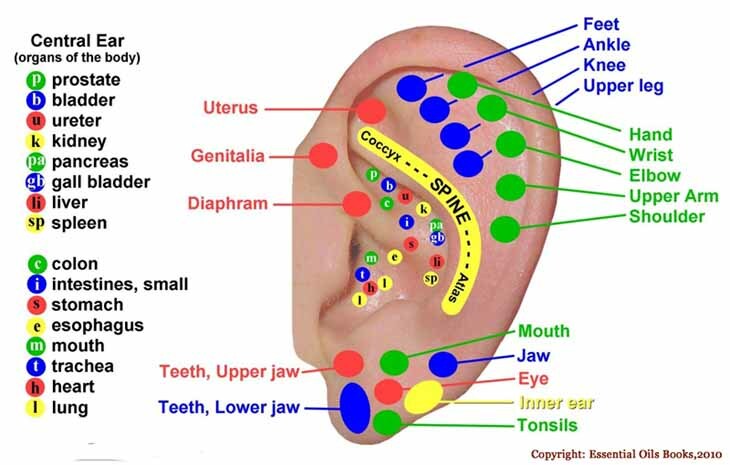 Reflexology ear point charts. Find a Chinese ear reflexology chart for free: face reflex zone therapy for the ears. An auricular acupressure chart & acupuncture points. Charts for feet & hand charts. More treatments for metabolism & sneezing. 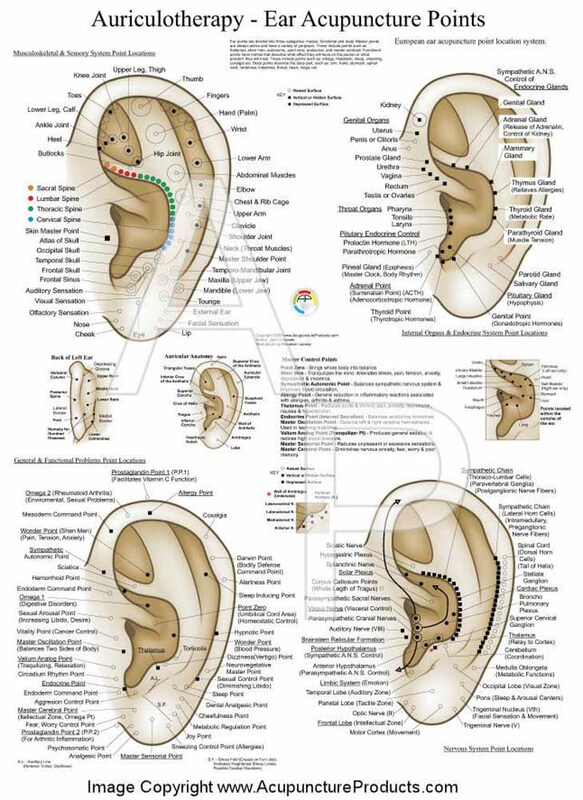 How to find an ear reflexology map or a -foot chart. 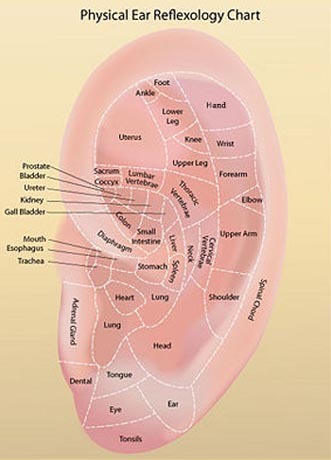 Ear pressure points & a wonderful healing ear massage treatment. Including an interactive chart & diagram. Sexual compulsion point & sexual desire ear points. Acupressure points benefits & ear reflexology chart printable, and treatments for headache, constipation, or pain in hands & feet or ears. Interactive ear charts, nose massage and the eustachian tube massage.